Since the release of Windows 7 in 2009 there have been many improvements to the security features including the ability to schedule Windows Update in Windows 7. Many steps can be taken to optimize Windows 7, but possibly the most important is to make sure software is kept up to date. This can be done manually however; a much easier method is available. Optimize Windows 7 in just a few easy steps with free computer maintenance. Windows users that do not schedule Windows updates are at a higher risk for identity theft, phishing, system errors, and a whole slew of problems that can be easily avoided with regular computer maintenance. Important Windows Updates can optimize the computer on many different levels. Firmware updates fix and improve the way hardware interacts with software. Security updates improve Windows defenses against malicious software. Malicious software includes viruses, spyware, trojans, and key loggers. These types of programs can infiltrate and compromise your computer’s information making private files and passwords accessible to hackers or spammers if Windows Update for Windows 7 is not scheduled for automatic software updates. These security holes may also lead to your computer and Internet activity being recorded and used at a later date. Software updates can be equally as important. For example, web based key loggers rely on flash ads on the sides of web pages. An important update protecting users from these web based key loggers could be included in a Windows Update. Click “Start” (Windows logo) on the tool bar. Type “Windows Update” in the search box. Click “Windows Update” in the program list. Click on the drop down menu below #5 and select when Windows 7 will perform updates. Any day of the week can be selected and the time can be adjusted as well. Click “OK” to save the changes made. There are other options that may be selected when scheduling Windows 7 Updates. 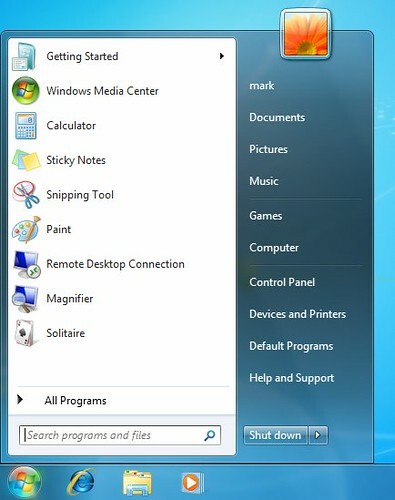 To further optimize Windows 7, the options in the Windows Update control panel can be selected or unselected. Having more than one user on a computer can be a problem especially when all users need to have the latest software and security updates. Windows 7 makes it easy to optimize updates for all users without having to log on to each account and modify update settings. Click on “Allow all users to install updates on this computer”. This will enable each separate account on the computer to update itself automatically. Ensuring that Windows Update in Windows 7 has a regular schedule is an easy way to perform free computer maintenance. ‹ Slow Computer Start-Up: What Can I Do To Restore Computer Performance?